Apparently this style of pancake hails from Japan and I’m definitely into it! 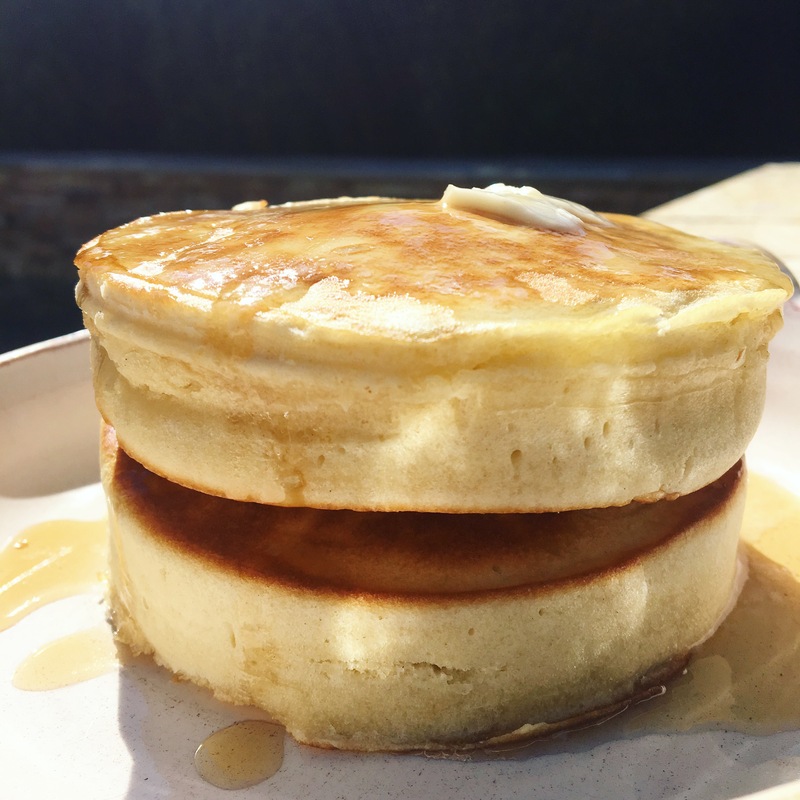 The pancakes are puffed to crazy thickness but kept light and fluffy. Yum! Start by combining your milk and lemon juice and letting them sit for about 10 minutes. Then, stir together the milk mixture, the eggs, and the vanilla. Mix in the flour, baking powder and sosa, salt, sugar, and cinnamon until just combined and still slightly lumpy. Coat a sauce pan lightly in the oil and brush some onto any metal ring form you have- I used the ring from an old mini springform cake tin. Place the ring in the center of the pan and pour your batter into it until half full. Let cook until you see bubbles or for about five minutes on low to medium low heat. Then, carefully flip and let cook another four minutes, making sure the pancake is fully cooked through. Transfer to a serving plate and repeat!